Rabbits are the perfect creatures... or are they? Watch the new Peter Rabbit trailer now at https://youtu.be/ufWkvhY6upM and see the movie in Philippine cinemas this February 2018. 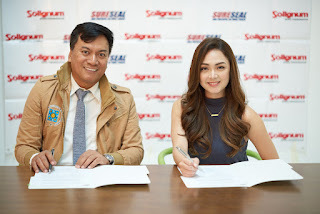 Trusted industry leader Jardine Distribution Inc. (JDI) recently signed up actress-model Meg Imperial as the newest face of its 2018 calendar for Solignum, the top-of-mind wood preservative in the market. 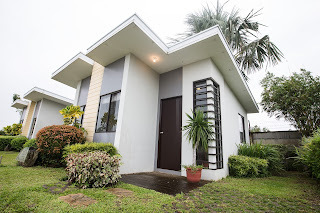 The 24-year-old Imperial, who recently appeared in the GMA hit afternoon series D’Originals, disclosed that she readily accepted the offer to represent Solignum, the most trusted wood preservation product in the country, because she considers it a privilege to be associated with an iconic brand that has for decades enjoyed the patronage of homeowners. It should be a wake up call for all of us that depression is just not a fad or a choice one would engage if they wanted to. Depression is far more complicated than we expected. And it already took many lives and it is not exclusive to a specific age group, race, gender, or social status. Since Robin Williams' took his own life in 2014, other big stars like singers Chris Cornell and Chester Bennington also ended their lives in similar fashion. 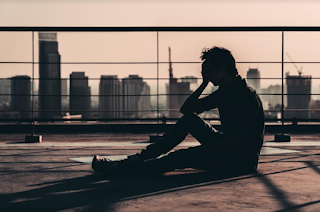 In the Philippines, depression was on the news because of now controversial remarks by comedian, TV host, and actor Joey De Leon. 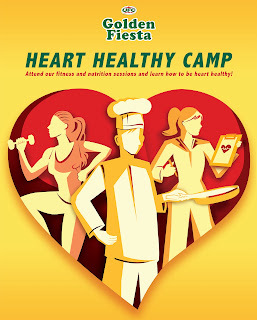 For NutriAsia, Avida, and Amaia, it is about forging a unique partnership that aims to cultivate—and celebrate—the Filipino’s sense of family and community. 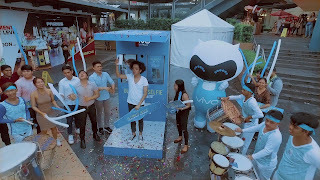 Vivo, a young leading global smartphone brand known for its known for its commitment in bringing advanced technology and stylish products to consumers, just recently dominated the spotlight with the launch of the Vivo V7+. The Vivo V7+ is a new addition to the V series and promises to be a powerful shooter with a all-screen display. Equipped with advanced technology including Vivo’s fingerprint 24MP front-facing camera and a 16MP rear-facing camera, this phone is known for its exceptional photography features, screen quality and the overall product design. Vivo V7+ was launched last September 20 was graced by a roster of the most renowned and celebrated faces from Philippine showbusiness lead by the much-adored love team of Kathryn Bernardo and Daniel Padilla. 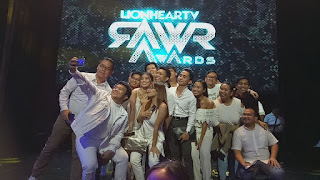 Kapamilya stars, the likes of Maja Salvador, Coco Martin, Vice Ganda and the loveteam of Maymay Entrata-Edward Barber led the big winners in the annual RAWR Awards 2017 that happened on Saturday night of November 18 at Chaos Manila, Upper Ground Level, City of Dreams, Aseana Avenue corner Roxas Boulevard. Asian horror is back and it's Indonesia's time to showcase their story of death, mystery and the ocult. This year, they have launched the successful Satan's Slaves (Pengabdi Setan) in theaters September. 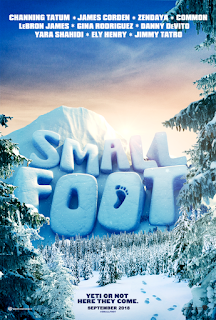 It is now known as the higest grossing Indonesian horror film of all time. The reason is beacuse it has great elements of a horror film. 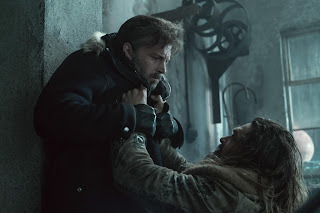 It was very effective in bringing out the fear with the cinematography and perfect thrill timing. 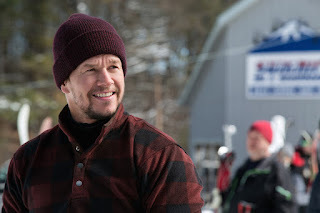 The film has great WTF moments, and I could say one of the best horror films of the year. 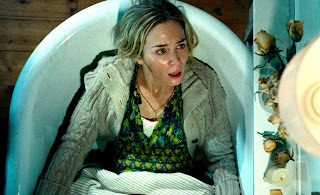 It was quite punishing for me not to give in to the jumpscares, and I want to watch it again. 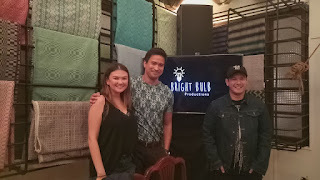 From being actors, John Prats, Angelica Panganiban and Sam Milby wants to venture into making video productions of their own. 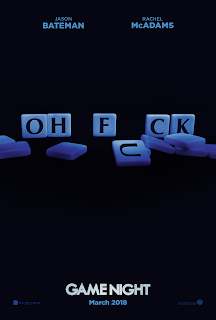 They call themselves Bright Bulb Productions. The group is brought to life by friendship of the three actors wanting to do something new along with their careers. John makes his directorial debut for the music video of "Malaya" by Moira Dela Torre which has topped many charts but never had their own video to make it to video charts countdown. With the production company giving a visual narrative of the heart clenching narrative. The video has reached the top trending spot in YouTube. Theater Mall and Promenade Lights Up For Christmas! The Christmas lighting ceremony is a much-awaited annual tradition at the Promenade and Theater Mall that officially kicks off Christmas in this part of Green hills. 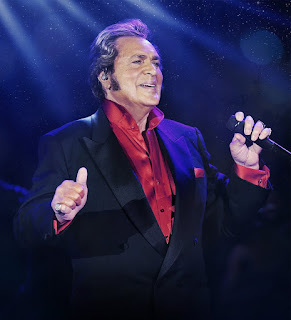 Enlivened by the presence of stars and entertainment personalities, the tradition began in 2008, the 20th year of the Music Museum, when German "Kuya Germs" Moreno invited stars like Gloria Romero to join him in providing Christmas cheer and dazzle at the ceremony. 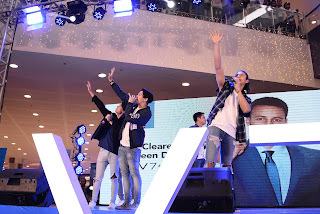 Through the years, young stars like Barbie Forteza, Bea Binene, Jake Vargas, Hero Angeles and Ken Chan joined Kuya Germs in spreading Christmas Cheer to shoppers and mall goers at the Promenade. The celebrities assemble at the site of the Christmas Switch, put their hands together and press the switch. Immediately, the bright lights of Christmas start to shine all over the place. It's as if the stars of the entertainment world lend their sparkle to the Holiday look. 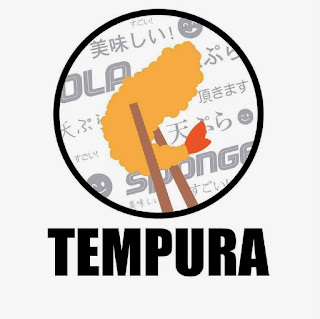 Sponge Cola Releases New Song "Tempura"
Warner Bros. Pictures’ epic action adventure Justice League proved its might at the Philippine box office, earning a final opening weekend total of more than P287.54-M across 772 screens to become the #1 release in the country, and setting new records. 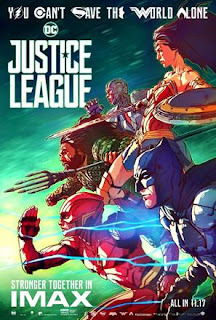 Batman, Wonder Woman, Aquaman, the Flash and Cyborg on the super screen as IMAX delivers a digitally re-mastered 3D feast for the eyes of Justice League fans. 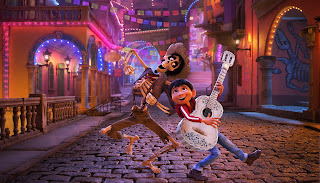 Disney · Pixar’s “Coco” Sings its way to SM Cinemas Nationwide! Aspiring Musician, Miguel, with trickster skeletal companion Hector on their journey in the Land of the Dead. The creators of Finding Dory, Toy Story and Inside Out invite you to a musical journey on the bond of family history as Disney · Pixar debuts its newest movie, “Coco” in all SM Cinema theatres which started November 22. 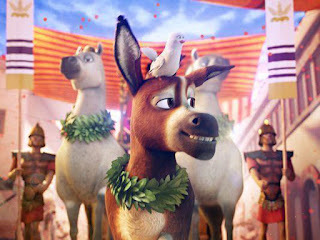 The movie follows 12 year-old Miguel who aspires to become a musician despite his grandmother, Mama Coco, banning music long ago, thanks to an ancient drama involving Miguel’s great-great grandfather, deceased music and film star Ernesto de la Cruz, who supposedly chose his career over family. 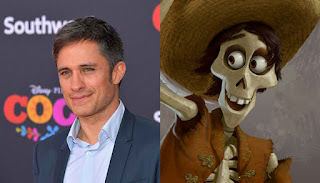 On the eve of Dia de Muertos (day of the dead), Miguel breaks into de la Cruz’s mausoleum to borrow the star’s signature guitar and join a talent competition, but instead enters a whole new journey in the Land of the Dead and discovers a string of unbreakable family ties as he attempts to break to the curse that turned him into a living ghost. 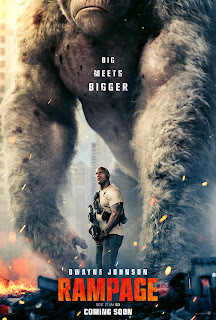 Get ready to have a monster vacation! 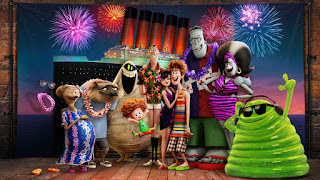 Watch the new Hotel Transylvania 3 trailer now at http://youtu.be/CCc_svInn_Y. A bag is every modern gentleman’s staple accessory, especially now that technology has significantly altered the way he conducts his day-to-day business. Multitasking, highly mobile young professionals now bring along all manner of gadgets—cell phones, chargers, tablets, power banks, laptops—and they need sleek but roomy bags to stash them in. 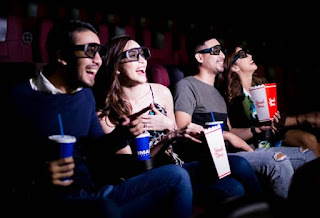 Piip, the go-to mobile application for the best location-based promos and deals, officially launched its partnership with the Araneta Center at the annual tree-lighting ceremony recently held at the Times Square Food Park along Time Square Avenue, Araneta Center, Quezon City. Launched in the Philippines last February, Piip is a mobile application that grants users access to a wide variety of product discounts and recommendations at the Piip of a button. Adding to the app’s algorithm for unique deal selection, Piip’s location-based feature helps shoppers find the nearest store where the products and services they need are available and even made more affordable. Piip also enables users of the app to directly contact their merchant of choice via its in-app messenger, making it easy for both to communicate and transact. 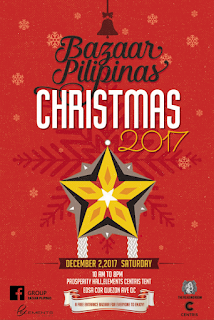 Get Ready for Bazaar Pilipinas Christmas 2017! 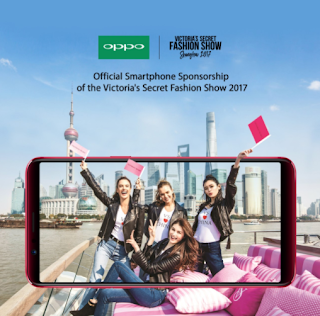 OPPO is excited to announce its partnership with Victoria's Secret for the much awaited Victoria’s Secret Fashion Show 2017. This is the first time that Victoria’s Secret Angels will be in Shanghai, China. They say home is where you make it. For these siblings from Utah, Garrett Gee and Miristi Gee, an adventure to the Philippines became an epic journey home. After a 20-webisode season, Discovering Routes will release its web series finale on Thursday, November 16th, 6pm Pacific on DiscoveringRoutes.com. From the private lands of the sovereign Tagbanua tribe in Coron, Palawan to the maximum-security prison in Cebu, their trip took them around the country for the first time ever, where the adventures were only surpassed by the discovery of their heritage and growing the unbreakable bond of family. 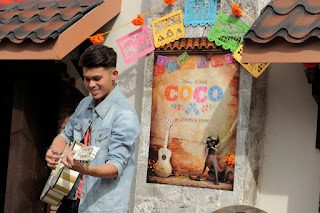 Fast-rising star and chart-topping recording artist Inigo Pascual will sing and appear in the music video of “Remember Me,” the lead song from Disney-Pixar's new animated feature “Coco.” ​ Inigo will perform the song live for the first time in a special show at the Venice Piazza Grand Canal Mall on Wednesday, November 15 at 4 PM. The public is invited to watch. Admission is free. Meanwhile, the music video of Inigo's cover version will be launched on ​Friday​, November 1​7 at 12 noon​ in VEVO and will premiere on TV exclusively at Channel V on ​Satur​day, November ​18​. 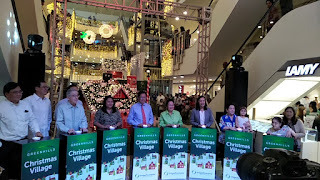 It's just a few days before Christmas, and Greenhills Shopping Center one of Ortigas and Company’s shopping, entertainment, and dining destination in San Juan, celebrates the upcoming yuletide season with the unveiling of their Christmas Village at V-mall last November 8. 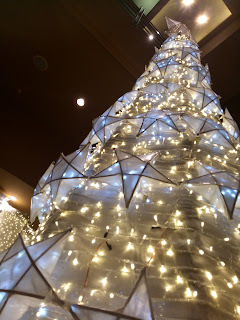 Greenhills is known be be one of the places families and friends come to shop, and do various activities for the whole family which makes it a perfect place to celebrate and prepare for Christmas. Though it is also quite sad since there is no Christmas on Display Mannequin Theater due to expansions and improvements , they came up with something that has the same Christmas vibe and also interactive for all shoppers, thus the Christmas Village is born. 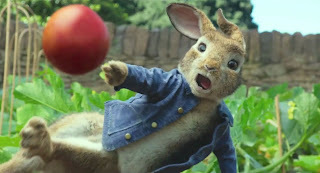 Today, Sony Pictures Releasing International debuts the new trailer for Peter Rabbit, the upcoming feature that brings all of the audience-favourite Beatrix Potter characters to the screen in a brand-new, modern adventure. 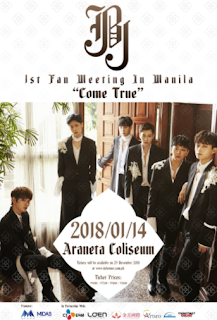 The film will be released in Philippine cinemas April 2018. 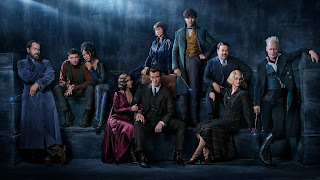 The new trailer can be seen here: http://youtu.be/iGqiTnd5VeI. It was meant to be that Ken Chan and Barbie Forteza will explore beyond their successful TV series and bring their loveteam to a new heights by starring in their own movie. 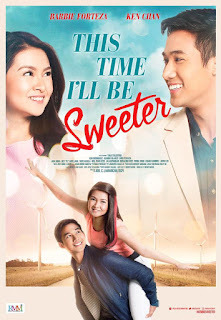 The "KenBie" loveteam brings Barbie and Ken of Pinoy showbiz in a new Regal Entertainment Film, This Time I'll Be Sweeter. Their love team brought their fans together and made them very lovable and even trending in social media. 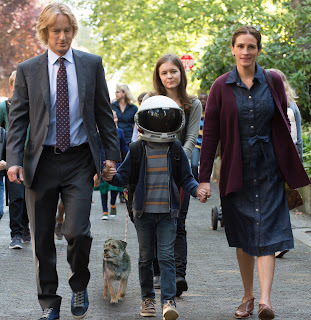 This is also brings a lot of young stars like Jai, Thea, Kim, and Hiro. It was also a first film for most of them and gives the debut movie break for KenBie. As a promising love team for the Kapuso network, they made waves a Billie and Yuan, now they represent a more mature version of themselves as Tristan and Erika and go beyond the teen roles and eventually grew up into young adults.